CASE STUDY: EUR/USD Still in Downtrend? According to Stoyan Mihaylov a Deltastock.com analyst, her outlook was not changed and she also added that the EUR/USD pair will continue to slide down and most probably will hit 1.2860 resistance and then bounce back. Also she noted that the rise in pair today at 1.3060 is its final upswing. 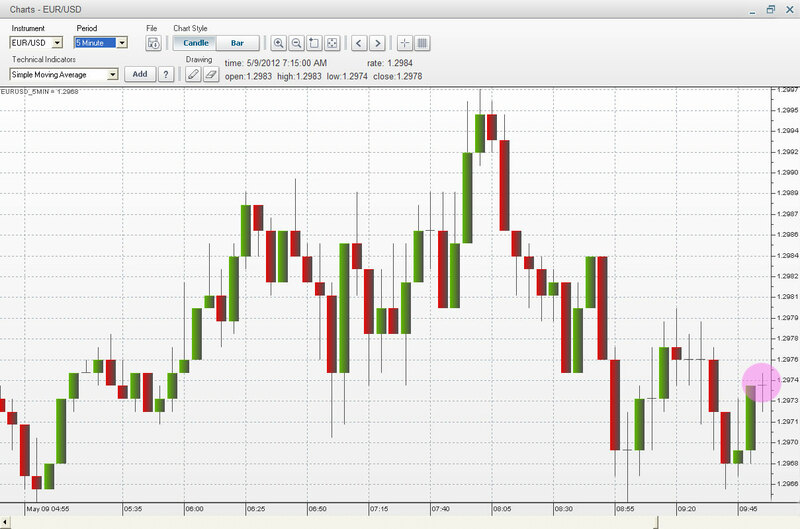 Having all that said plus the political crisis happening almost to every European Union Countries ( Although the release of the Germany’s five-year bond sale (09:30 GMT) is in favor to Euro). 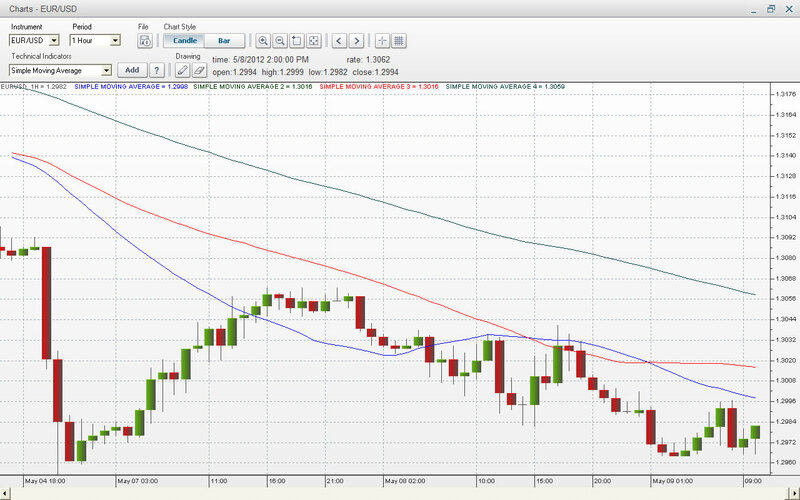 And the down trend in 1hour chart. Though there are two crossovers on 30SMA(blue) and 50SMA(RED) but the 100 SMA(black) remains untouched. I wonder what would happen if I sell the pair… I decided to create a case study. I waited and looked for a short entry for the particular pair currency. After waiting for pair to rise so I could get an entry point I finally found it, a Doji at 1.2974, Chart at 5M. I did not bother setting a stop lost and setting a target. We’ll see how much we earned or lost before the week ends. I will update you after 24 hours.